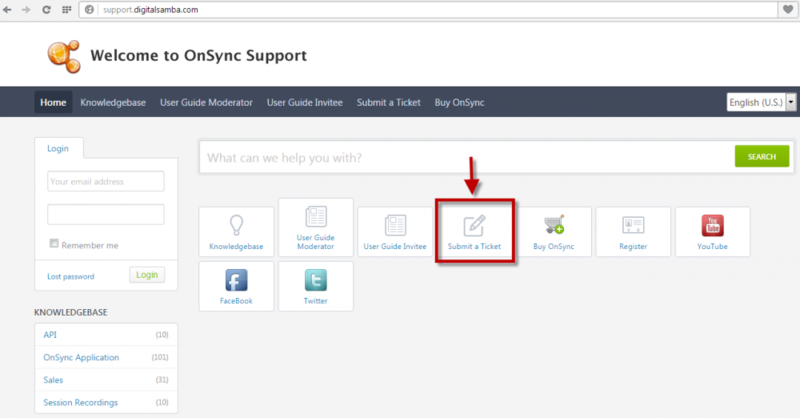 Before you submit a support ticket, we recommend you have a look to see if your problem has previously been adressed in our knowledgebase. If you can’t find your problem in our knowledgebase the easiest way to submit a support ticket is by accessing our Support website directly from any browser. You can also do this from within a session by clicking on the Help menu at the top of the interface. Next, click on the Help option.